Cardiff Male Choir were invited to take part in the book launch of ‘Call Them To Remembrance’, which was featured as part of S4C’s ‘Heno’ programme on Wednesday 18th of June. 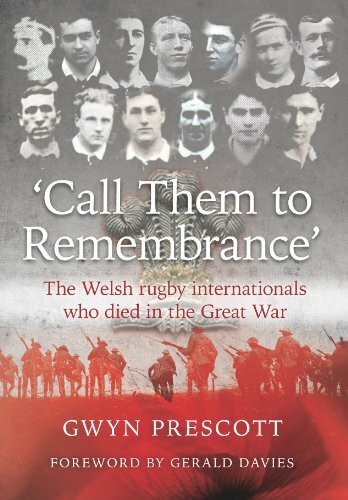 Gwyn Prescott’s sensitive and fascinating book, the product of over ten year’s research and study, recovers the memory of these thirteen multi-talented and courageous Welshmen who gave their lives in the Great War of 1914-18, detailing their playing and military careers. Follow this link for more information on the book, and to purchase it from amazon. Cardiff Male Choir sang ‘Men of Harlech’, ‘Calon Lan’ and ‘Band of Brothers’ – which was featured in the broadcast which you can watch below. 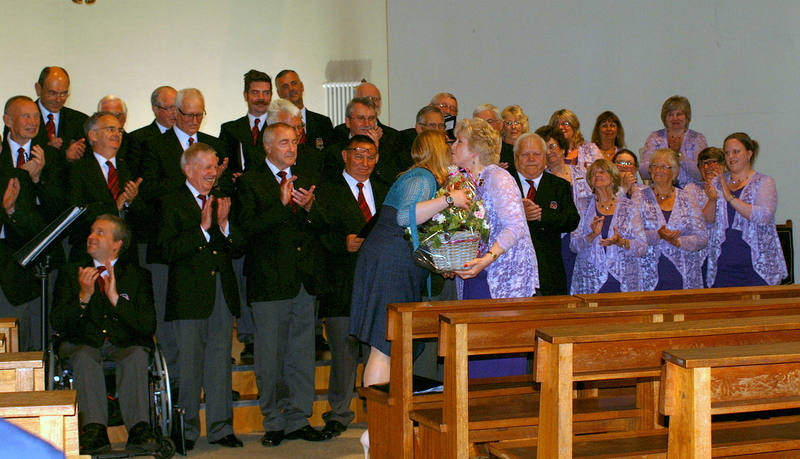 A wonderful concert took place last Friday at St Teilo’s Church, Whitchurch as Cardiff Male Choir welcomed Stithians Ladies Choir from Cornwall. The concert was part of the ladies’ tour of Cardiff over the weekend. Stithians Ladies Choir performed a variety of songs including ‘Where is Love?’, ‘The Lord Bless You and Keep You’ and ‘You’ll Never Walk Alone’. Cardiff Male Choir complimented their performance with spirituals and Welsh choral items including ‘Laudamus’, ‘Joshua Fit The Battle of Jericho’ and ‘Cwm Rhondda’. Cardiff Male Choir would like to thank Stithians Ladies Choir for joining them in song, for their beautiful gifts to the choir and for raising money for St Teilo’s Church. 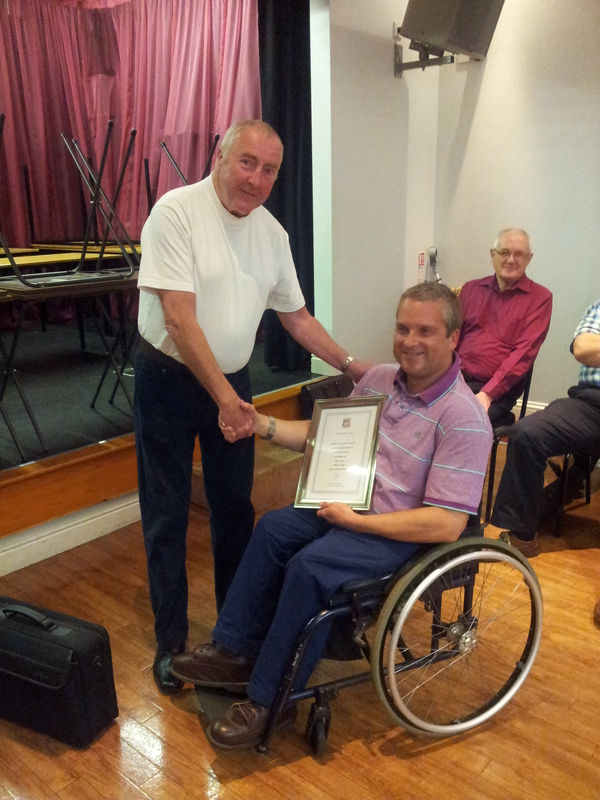 In recognition of 25 years’ service to Cardiff Male Choir, Andrew Dodge was presented with a Life Membership award at a recent rehearsal. 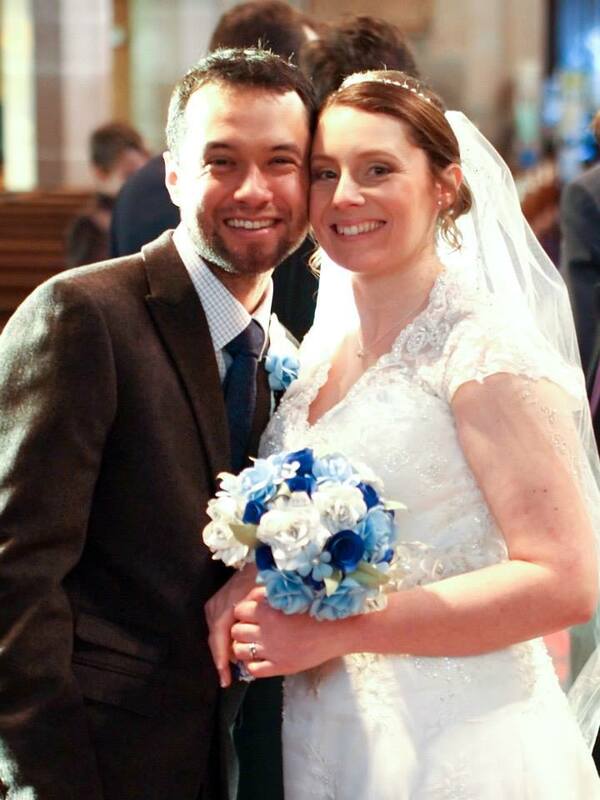 Congratulations Andy! 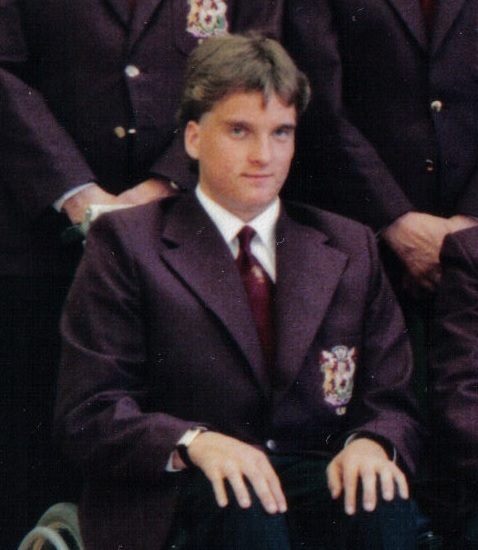 Here are a few photos of Andy from the last 25 years. 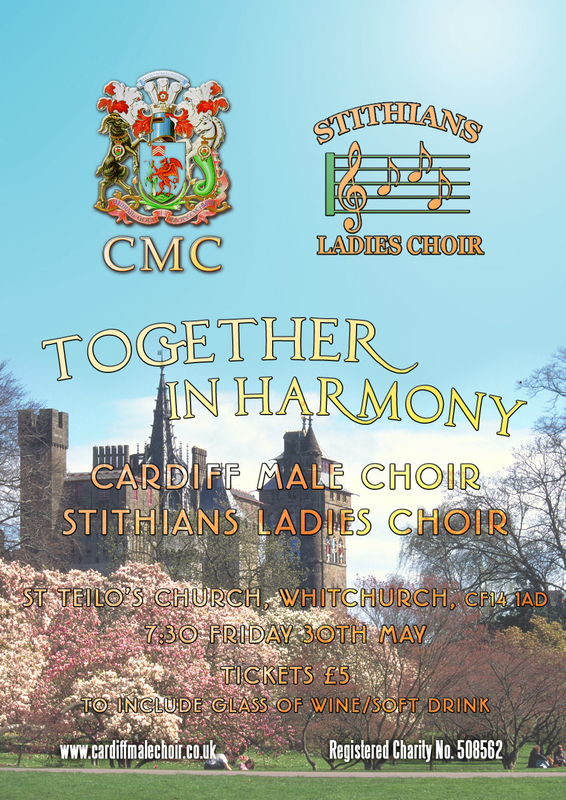 As part of their tour to Cardiff, Stithians Ladies Choir will be performing in a joint concert hosted by Cardiff Male Choir. 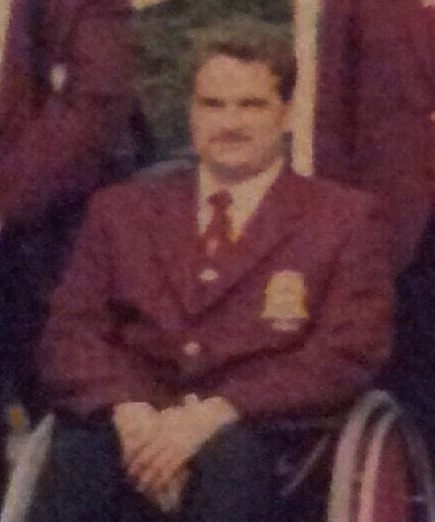 CMC has many links with Cornwall, including their own tour to Redruth last year. Both choirs will be performing a variety of popular classics, anthems and show songs. There will also be guest artists performing during the evening. The concert will be raising funds for St Teilo’s church. 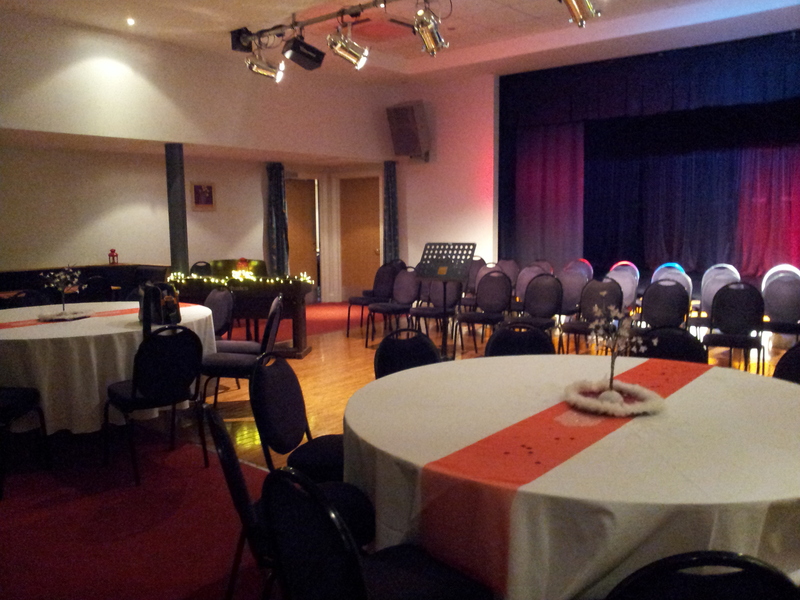 Tickets are £5, to include a glass of wine or a soft drink. Tickets available on the door, or can be reserved by ringing 07985754889. 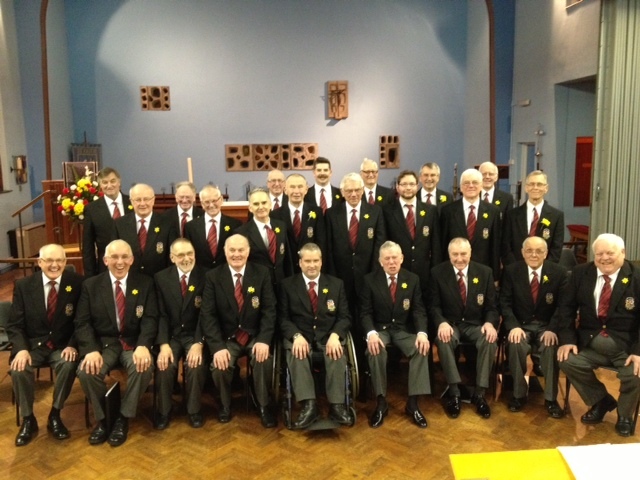 Cardiff Male Choir were invited to perform a St David’s Day Concert at St Faith’s Church, Llanishen. 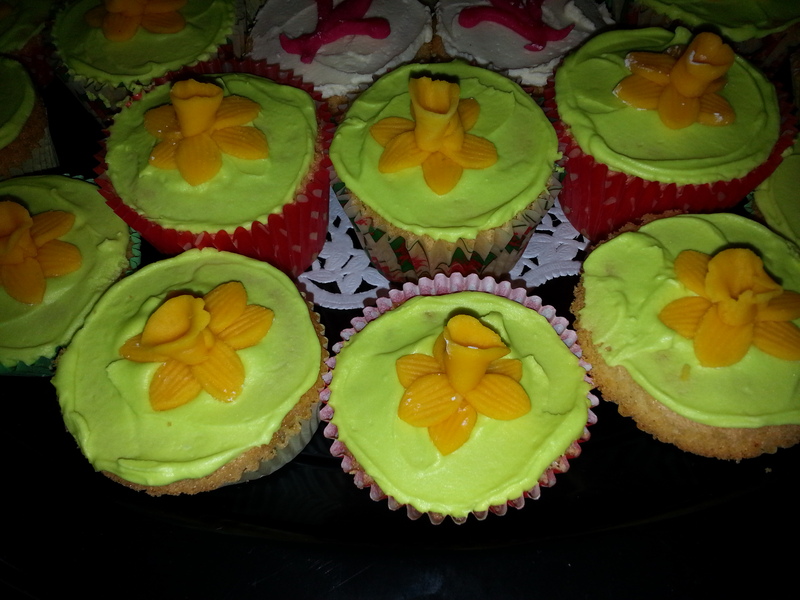 The concert was to raise funds for the church. 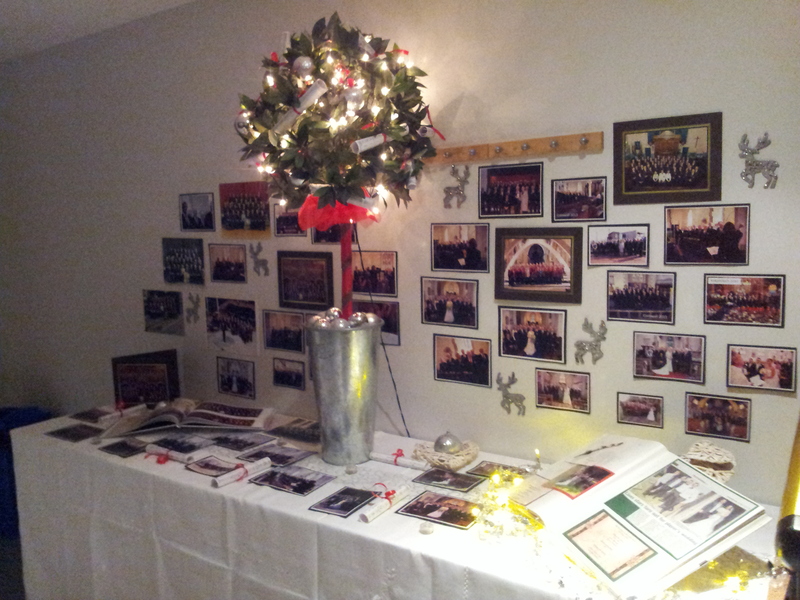 This is the second year the choir have been invited to perform at St Faith’s, who always give the choir such a warm welcome, and put on a fantastic buffet for the concert patrons and choir alike! 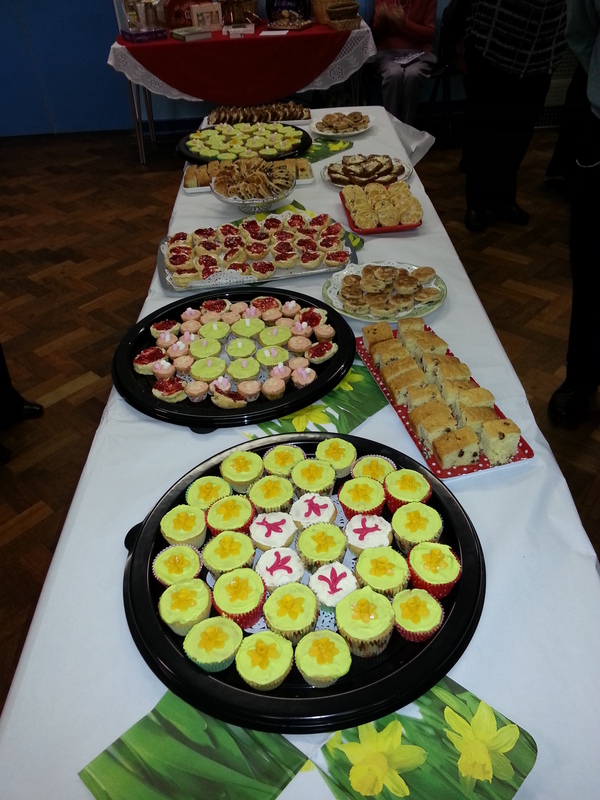 There were lots of lovely Welsh treats! The choir performed many Welsh items including ‘Ar Hyd Y Nos’, ‘Cwm Rhondda’, ‘Calon Lan’ and ‘Myfanwy’. 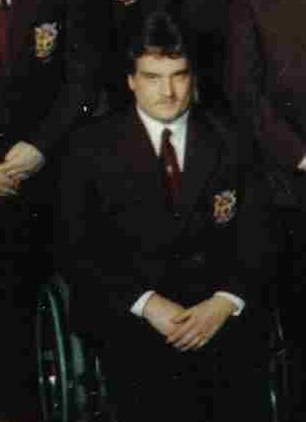 There was also a Welsh sing-a-long lead by choir member, Dr David Davies that included ‘Sosban Fach’ and ‘Ar Lan Y Mor’. 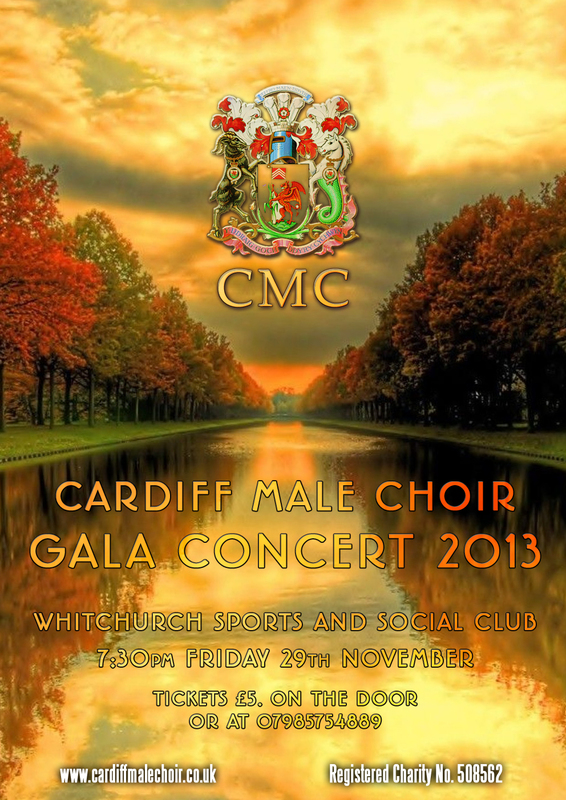 If you would like Cardiff Male Choir to perform at your charity event, then why not contact us! 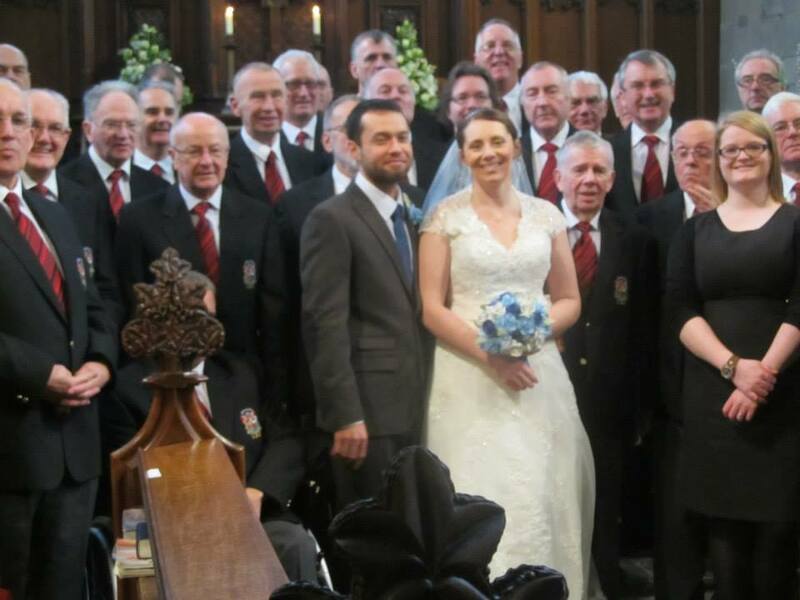 Last weekend, the choir left Cardiff for Knowle, Solihull to sing at the wedding of one of our superb accompanists, Becky Shipley (now Drysdale). Becky and Hal chose some of their favourite items for the choir to perform, including ‘Tydi A Roddaist’, ‘Salm 23’, ‘She’, ‘When I Fall In Love’ and ‘Calon Lan’. 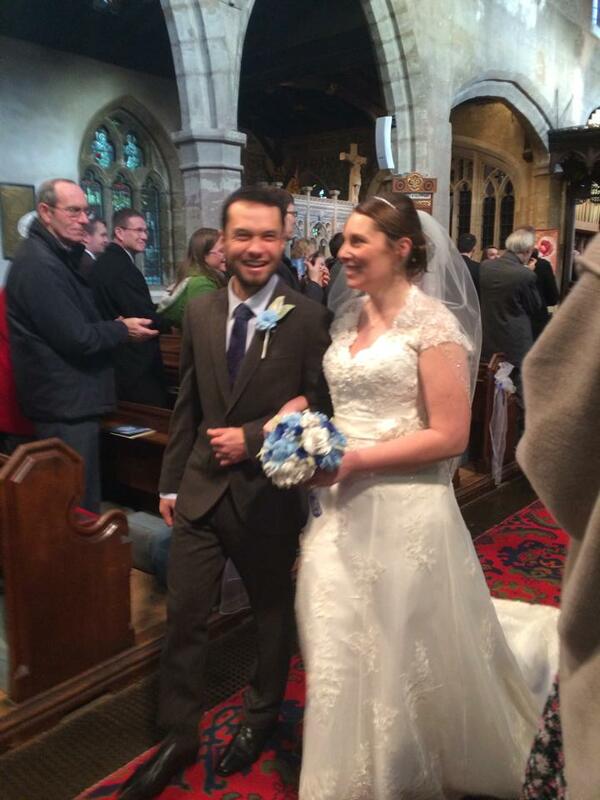 It was a privilege to sing at the wedding of Becky and Hal – and the choir wishes Mr and Mrs Drysdale many years of happiness. 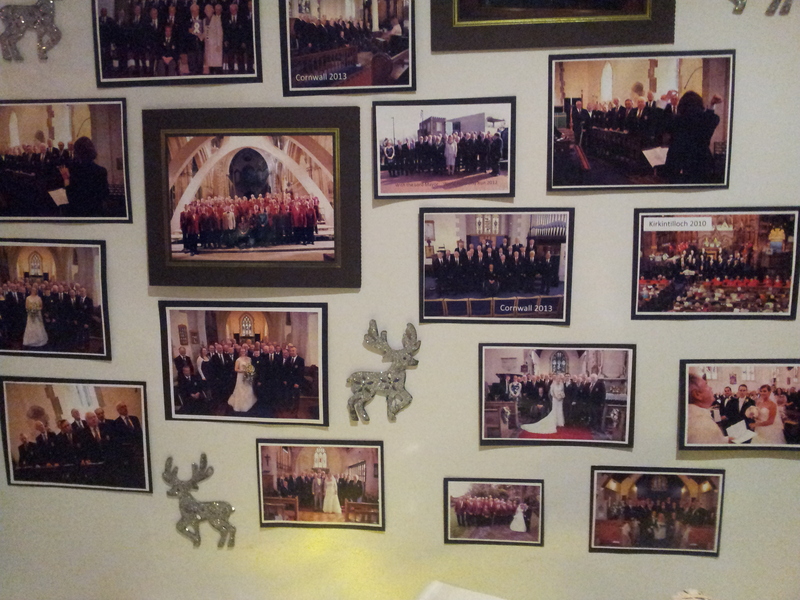 If you would like Cardiff Male Choir to sing at your wedding, then why not drop us an email? 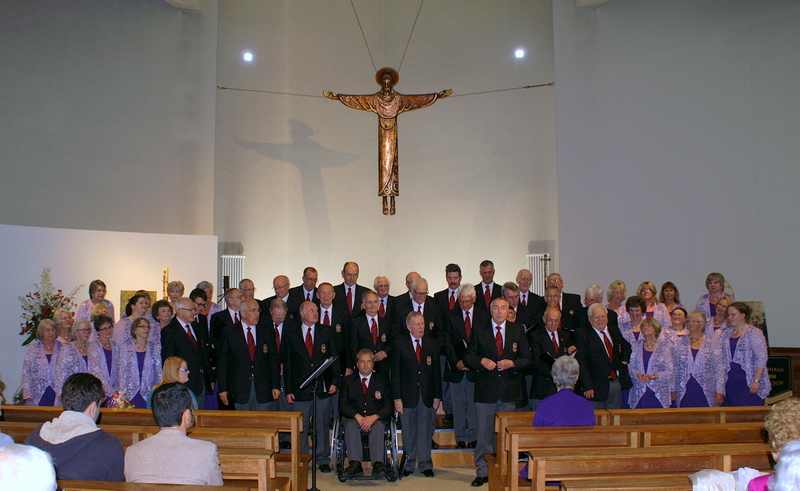 Founded in 1898, Cardiff Male Choir is one of the oldest choirs in South Wales. 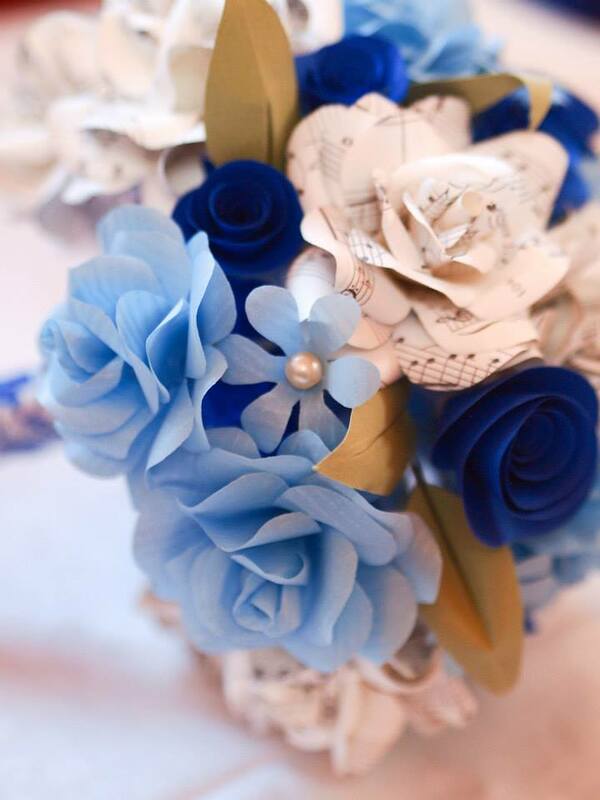 We have a wide repertoire from traditional to modern. 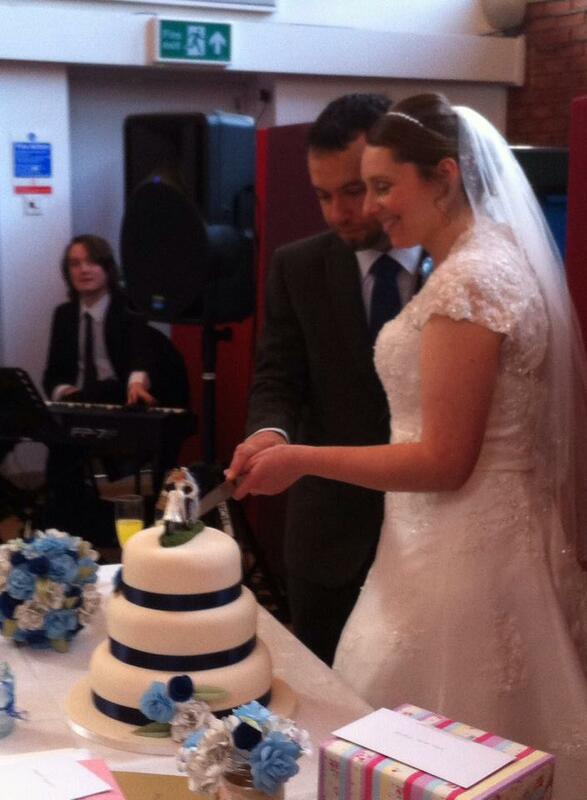 We sing a charity events, corporate events and weddings. 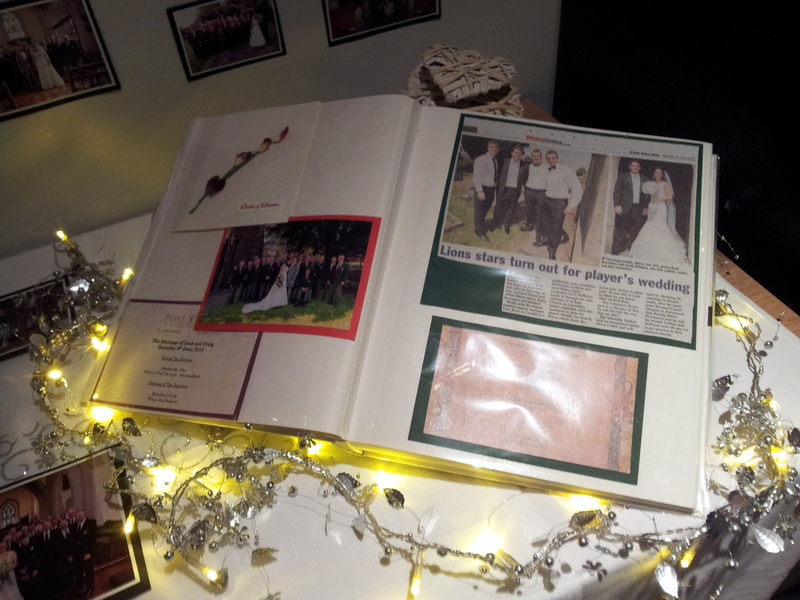 We take part in Eisteddfodau and tour around the country and abroad. Velindre Road, Whitchurch, Cardiff, CF14 2TG. We are always on the lookout for new members – so come and join us, and you’ll be assured of a warm welcome! The rehearsal will be a workshop, based on a new item for the choir – and is a perfect opportunity for you to come and sing a new arrangement. Join the club! The choir is given full training to learn new music, and there are rehearsal CDs so you can practise at home (or in the car!). And if you wish, there are also extra early rehearsals run fortnightly so that you can have some extra time to learn some of the choir’s repertoire. Nothing Like A Good Christmas Knees Up! 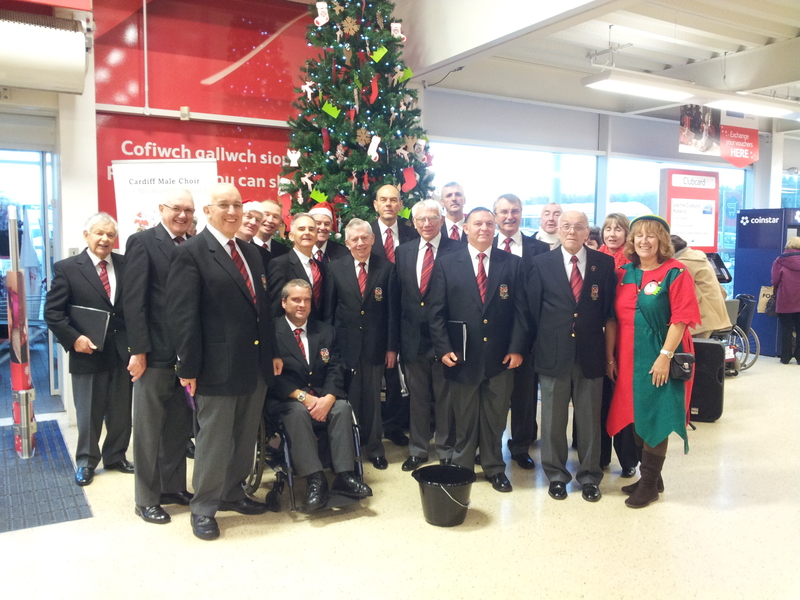 To end 2013, Cardiff Male Choir sang at Tesco Extra, Culverhouse Cross – fundraising for the choir, and for Diabetes UK. 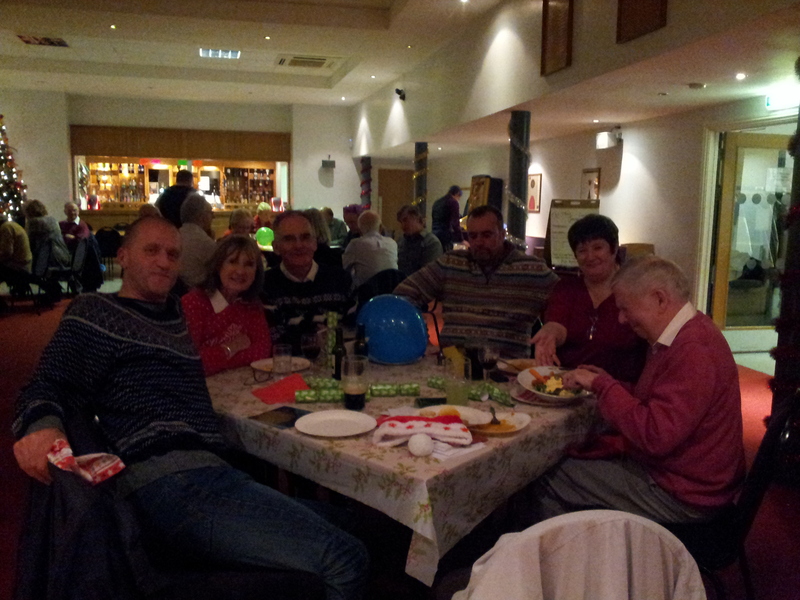 We also had great fun at our Christmas Party! 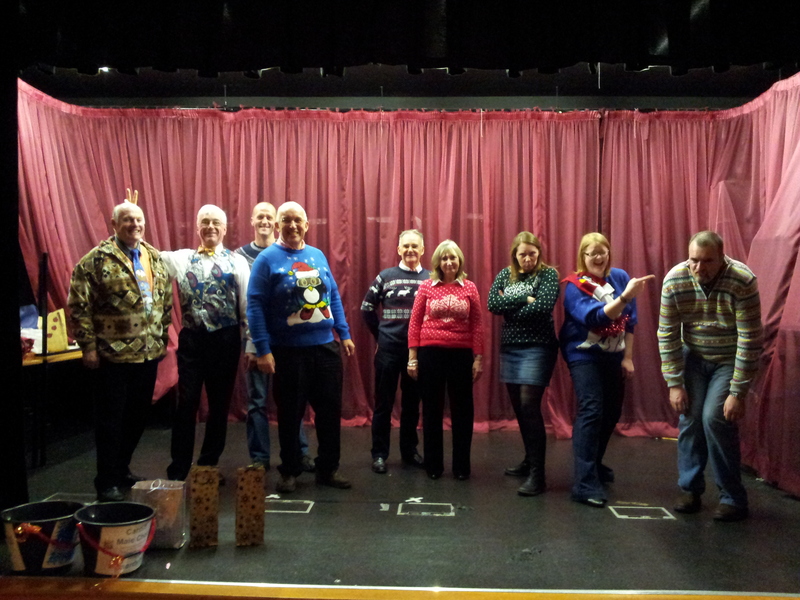 A quiz, food, raffle, terrible cracker jokes and a ‘Best Christmas Jumper’ competition. 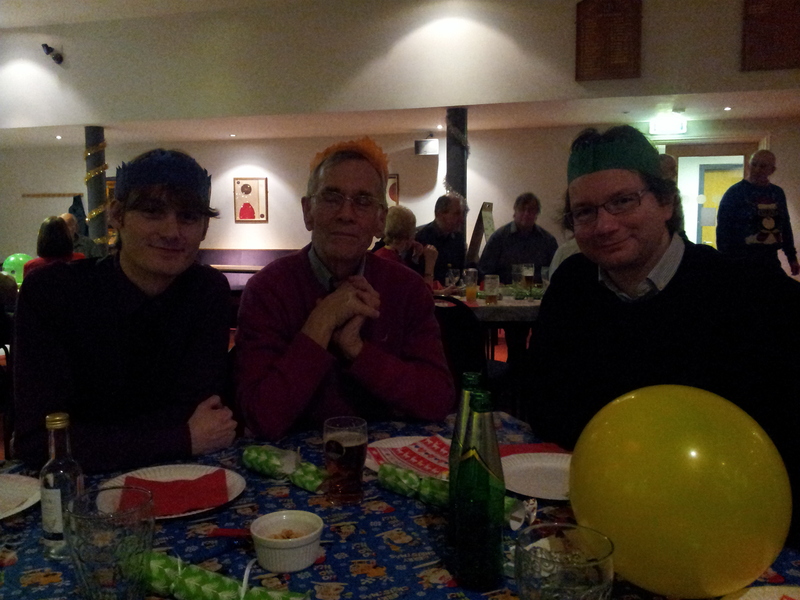 A Very Merry Christmas and a Happy New Year from Cardiff Male Choir. 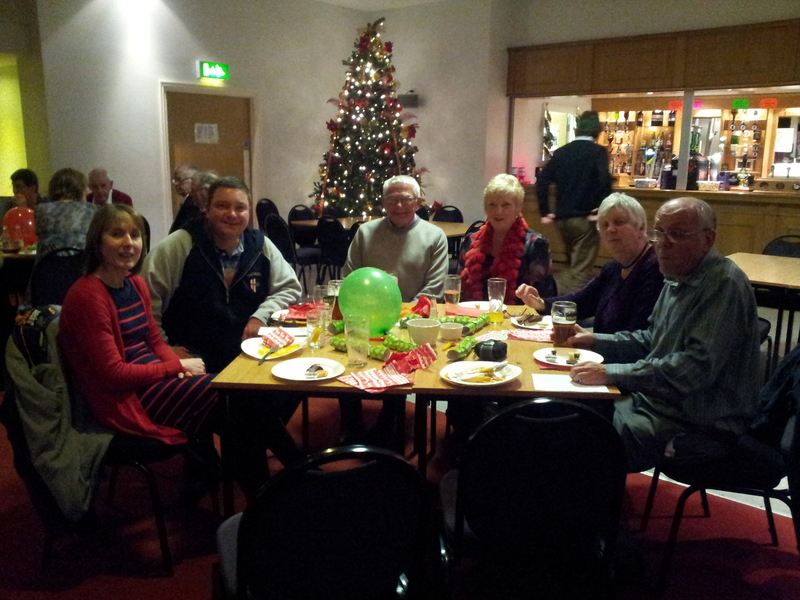 Whitchurch Sports and Social Club was packed on the 29th of November as Cardiff Male Choir celebrated 115 years singing! 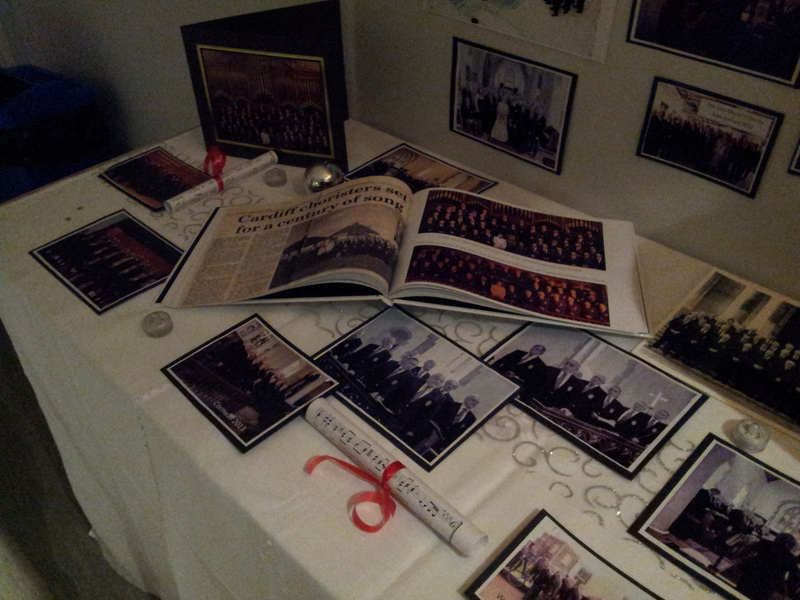 The concert was a huge success, raising over £1000 for the choir. 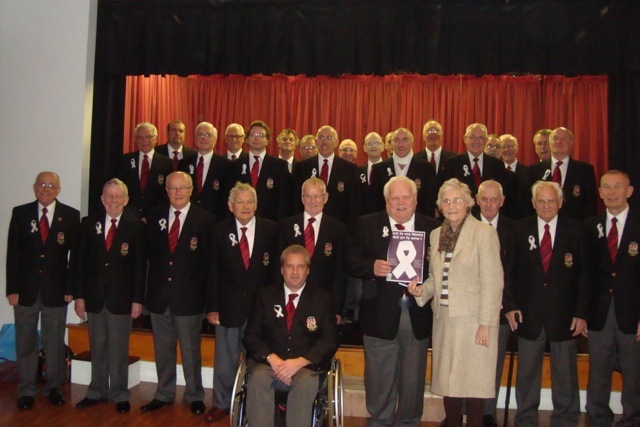 As a registered charity, Cardiff Male Choir provide their services free of charge, singing at concerts and events across South Wales, to help raise money for charities and local causes. 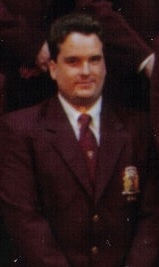 The concert was attended by the choir’s patron, The Lord Mayor of Cardiff, councillor Derrick Morgan. 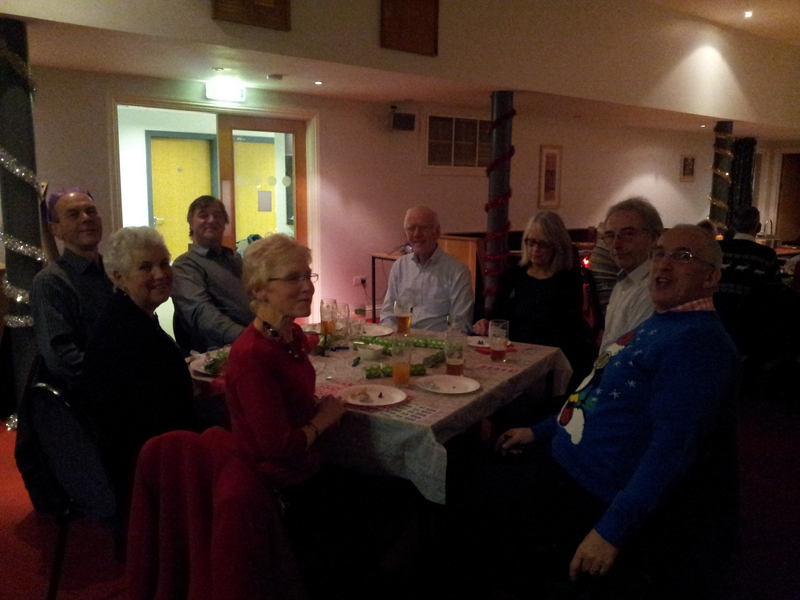 The choir would like to thank all those who came to support the concert – here’s to next year! 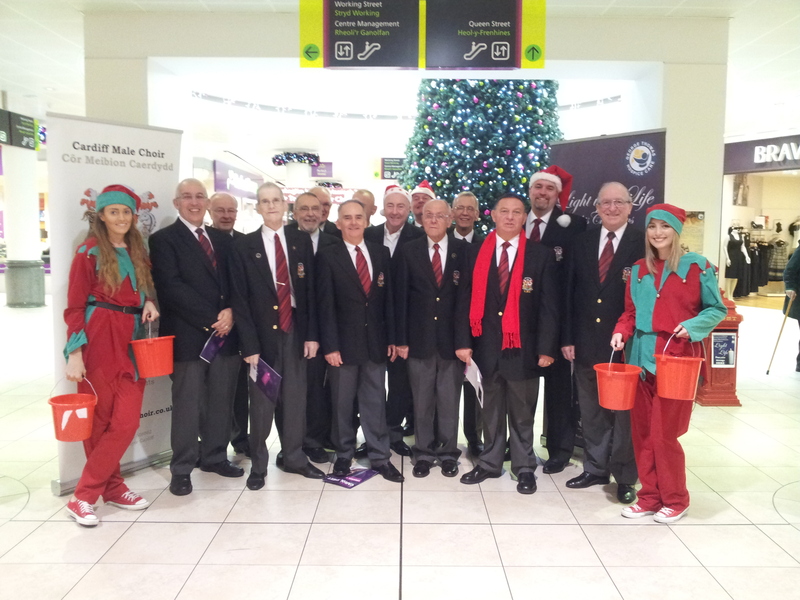 The choir headed to Cardiff Queen Street on Saturday the 7th of December to help raise funds for the George Thomas Hospice ‘Light Up A Life Appeal’. All Light up a Life donations go towards the work of George Thomas Hospice, providing nursing care and support services to those facing cancer and other life threatening illnesses. Follow this link to find out more about the appeal and George Thomas Hospice. 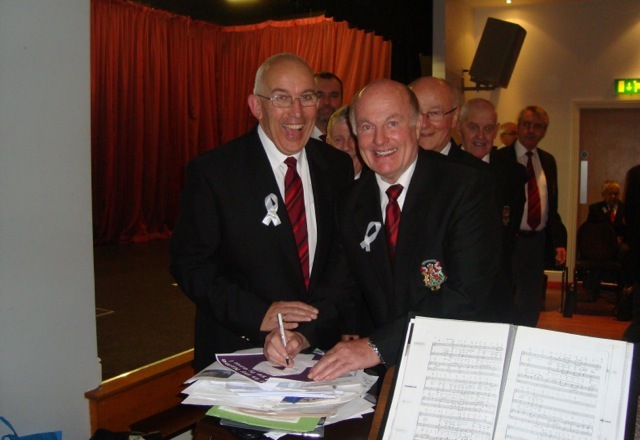 Cardiff Male Choir were just one of many male groups in Cardiff asked to support the White Ribbon Day – 25th November. The choir were asked to sign a ‘Not In My Name’ poster, organised by members of the National Federation of Women’s Institutes. NFWI-Wales and Joyce Watson AM hosted a cross-party stakeholder event at the Senedd on 19 November to mark White Ribbon Day and discuss the importance of engaging with boys and men to eliminate male violence against women. Prior to the event, politicians and other supporters gathered on the steps of the Senedd holding Not in my Name posters signed by male groups and organisations. Politicians also signed a giant white ribbon as a pledge of their support. 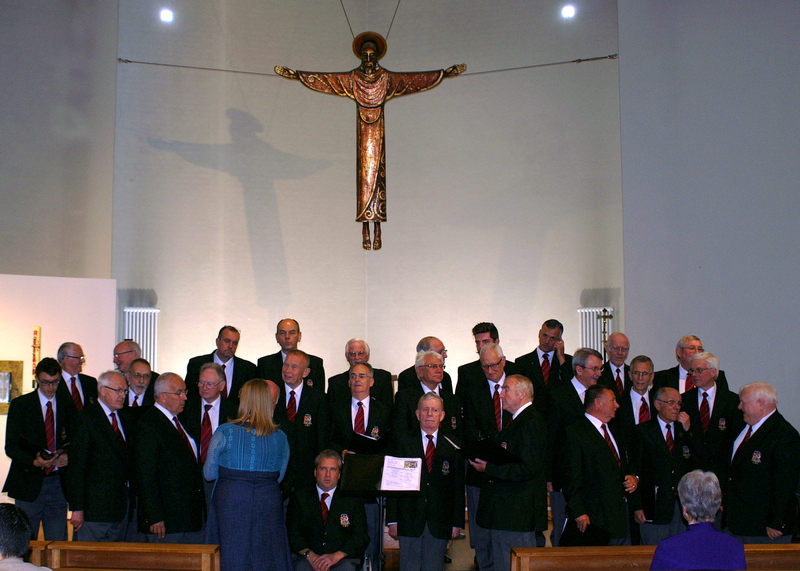 See more on The WI website – including pictures of the choir and other male groups across South Wales. 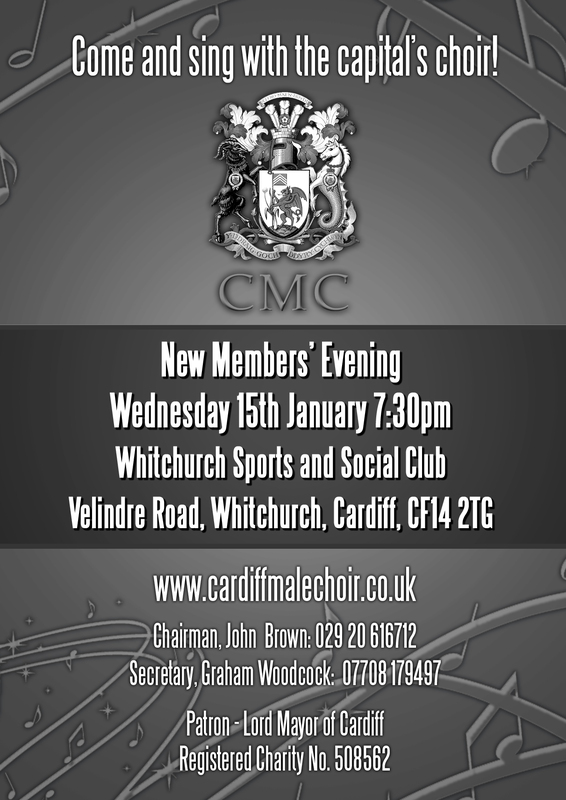 Join Cardiff Male Choir as they celebrate 115 years singing! The choir will be performing a variety of songs including Welsh traditional hymns, choruses, songs from the shows and a few seasonal treats. Guest artists will also be performing during the evening. A bar will be available throughout the evening. Tickets are £5 available from 07985754889, or email us. 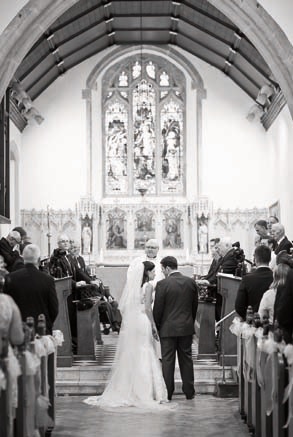 Earlier this year, Cardiff Male Choir performed at the wedding of Lucy Jones and Ryan Bevington (Welsh International and Ospreys Prop Forward). 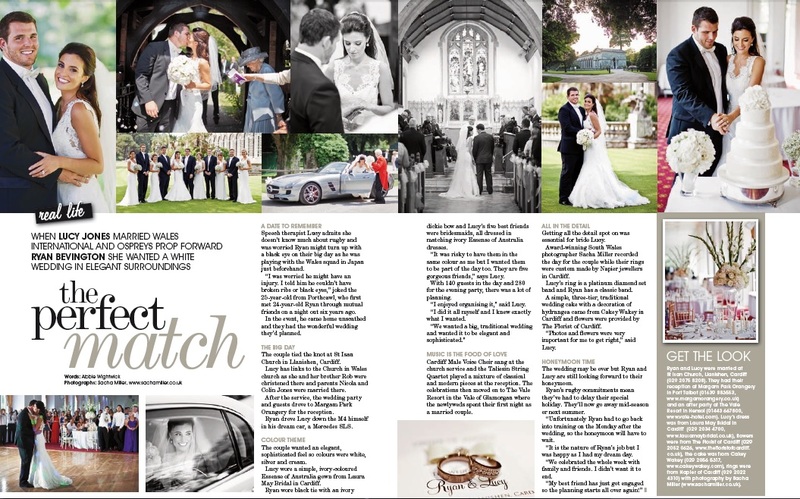 Their marriage was featured in the Autumn edition of WM Magazine, with a picture of Cardiff Male Choir and the bride and groom at St Isan’s Church, Llanishen.